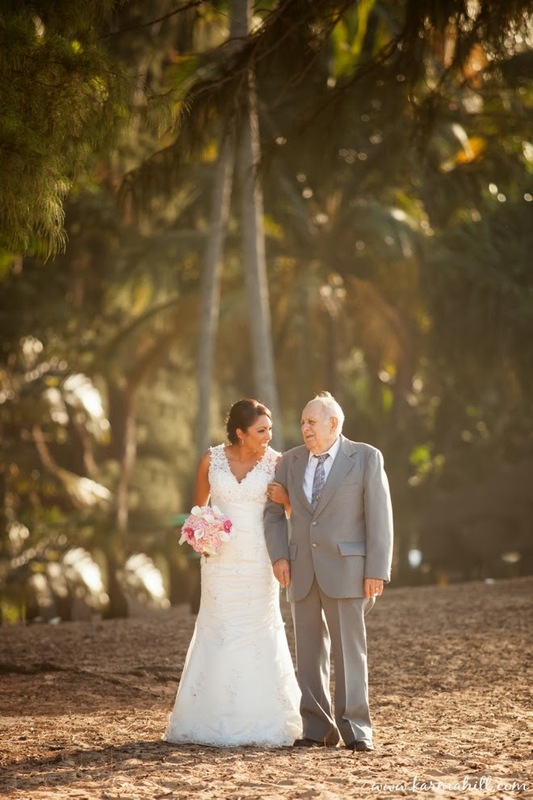 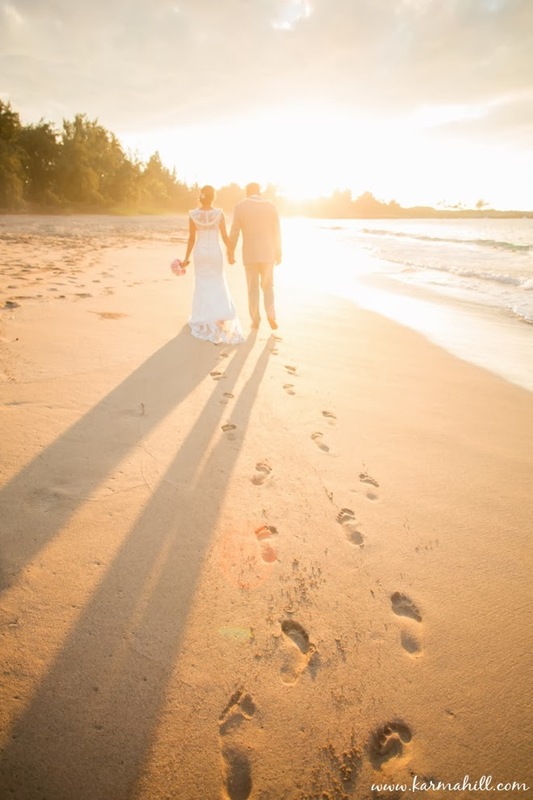 Liz walked up the sand of DT Fleming Beach in West Maui, arms linked with her grandfather, towards her groom and the circle of family and friends who surrounded him. 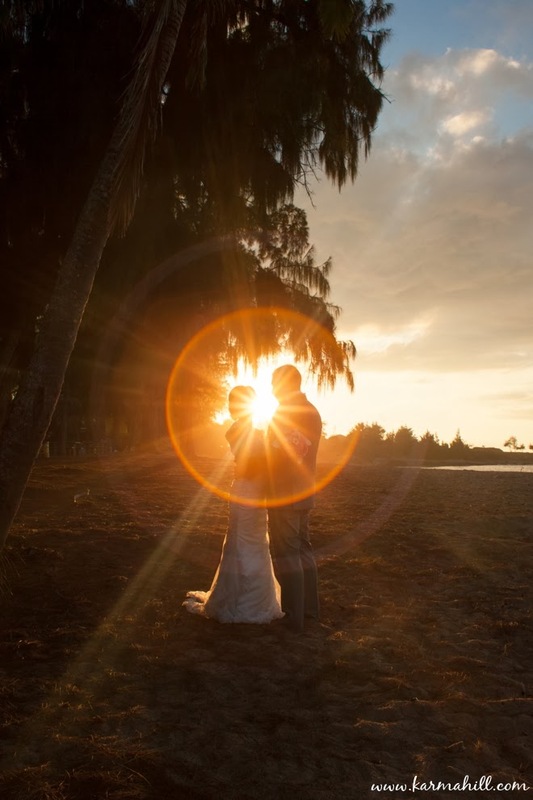 The evening sunshine was pouring down over the trees, warming everyone on the beach and creating a beautiful glow around their wedding ceremony. 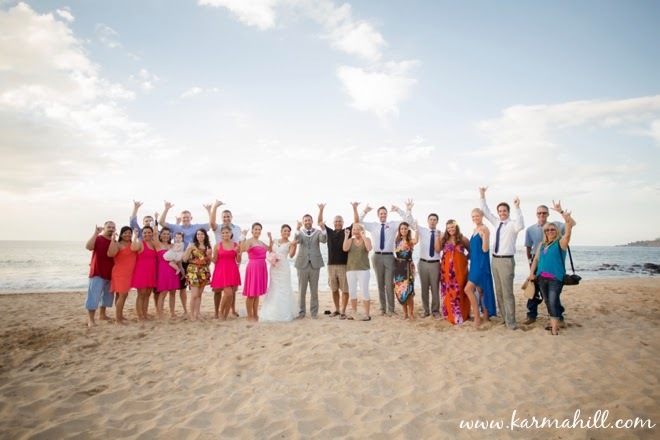 We had so much fun with this big group who came all the way from Texas for this special celebration of Liz and Adam. 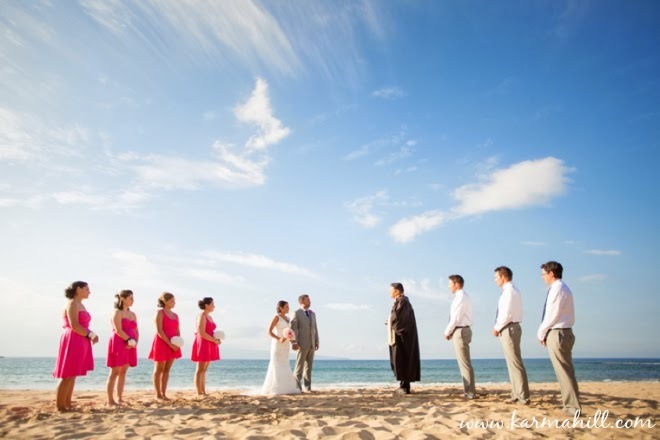 From the moment the wedding party stepped out of their white stretch limousine they were exuding enthusiasm and playful personalities. 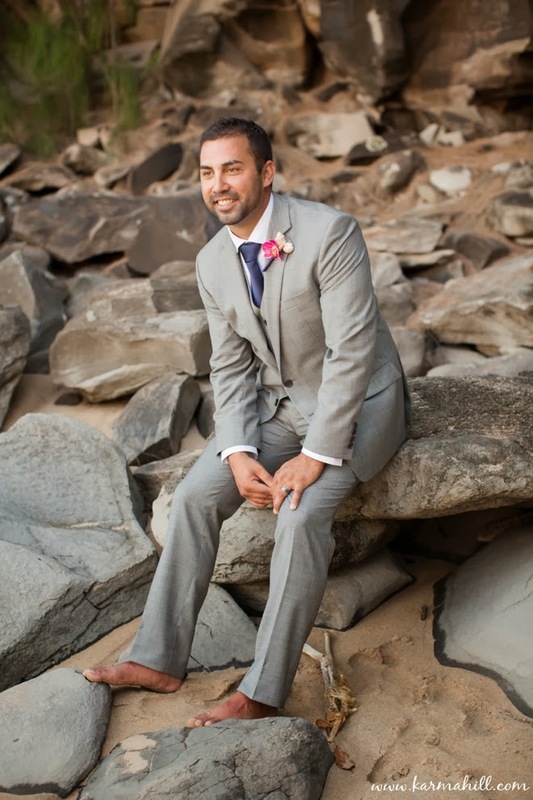 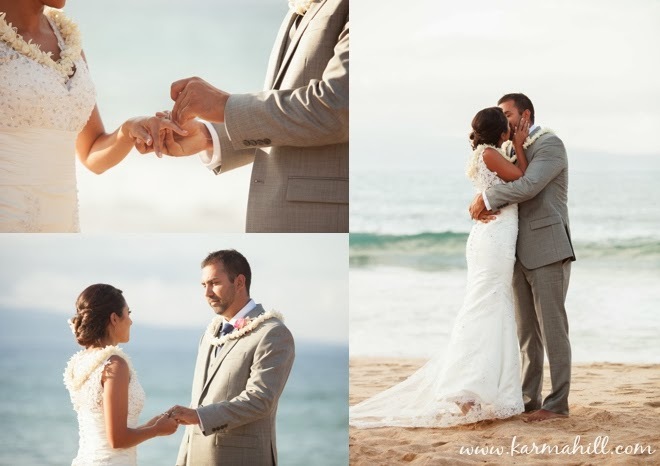 After their ceremony with Reverend Valentine Rosete, we had an hour for romantic portraits on the beach. 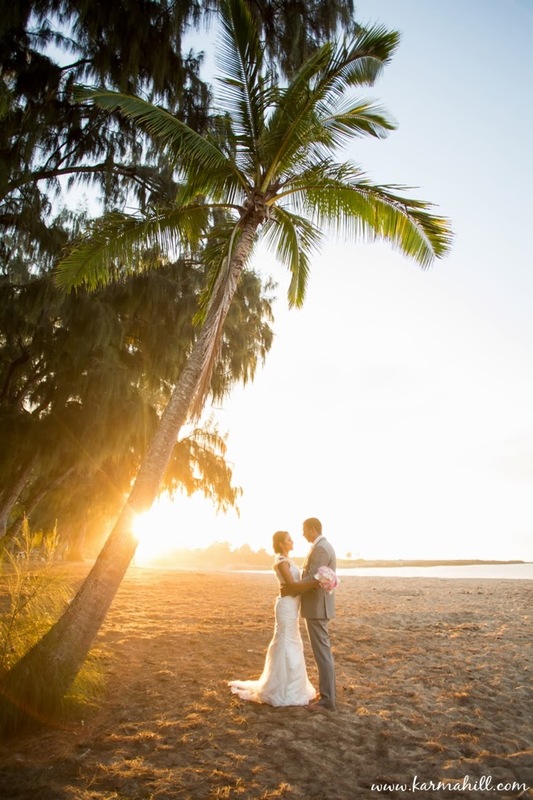 The sunset provided a stunning backdrop as we stood beneath palm trees, balanced on lava rocks and strolled along the shore so the waves just barely tickled their newlywed toes. 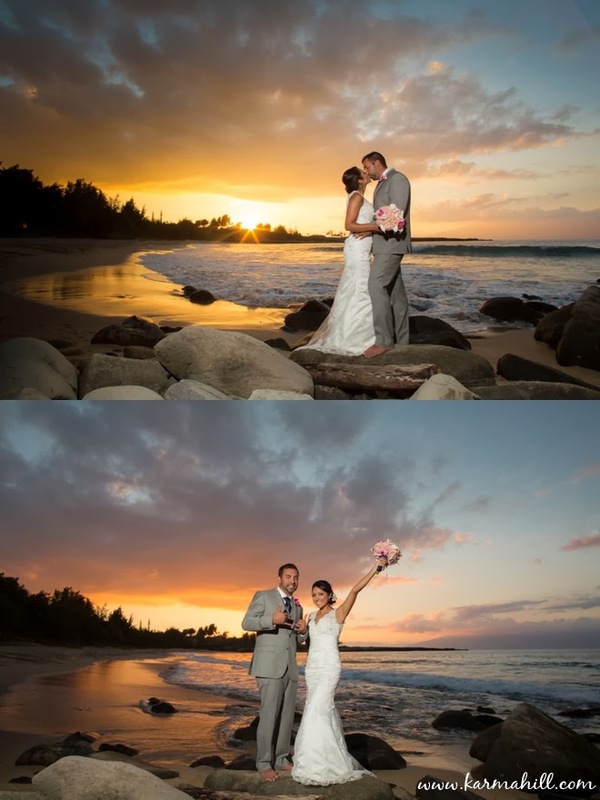 Congratulations Liz and Adam and thank you so much again for choosing Simple Maui Wedding! 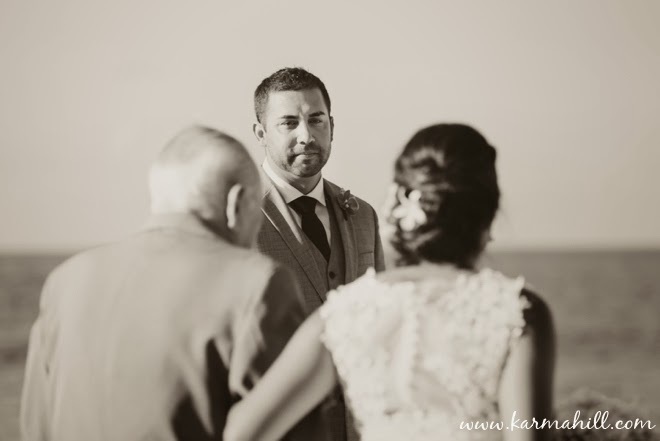 Words can not accurately express how grateful we are for having you capture all of our emotions on not only our dual birthdays 10/18 but what is now also our Wedding Day. 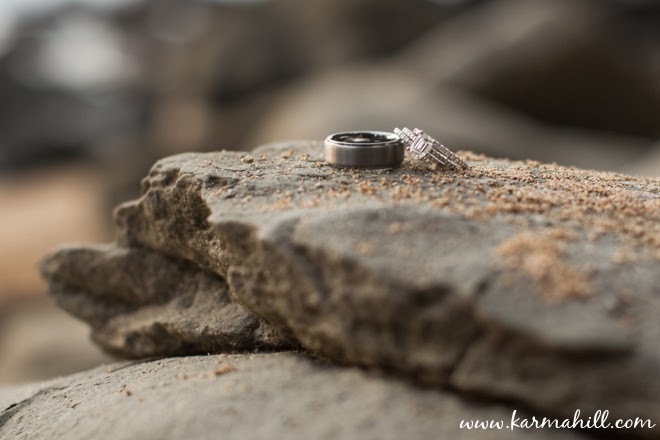 That day went by entirely too fast as did our time we had with you on the beach, but amazingly you were still able to tell our story perfectly in the form of these pictures! 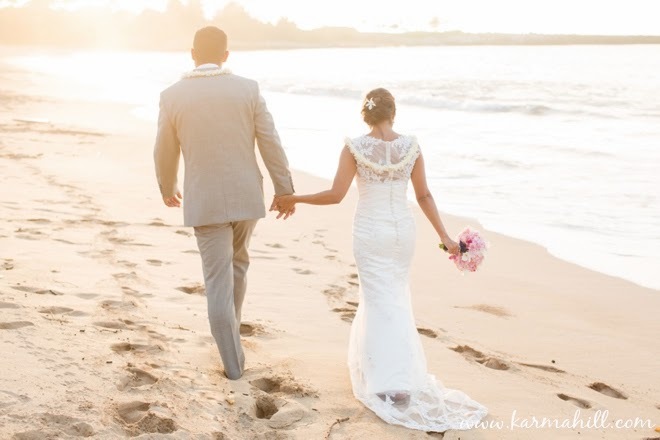 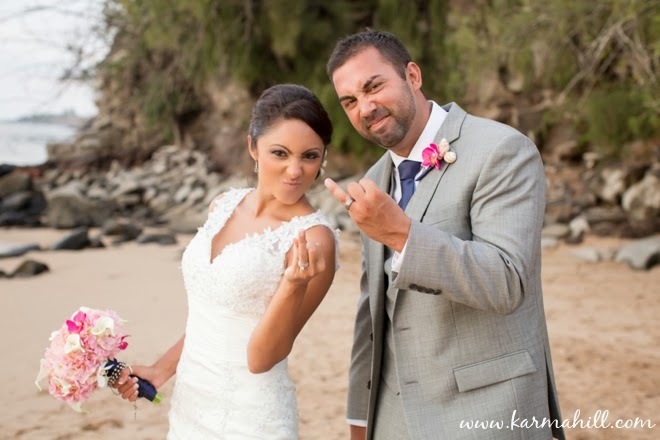 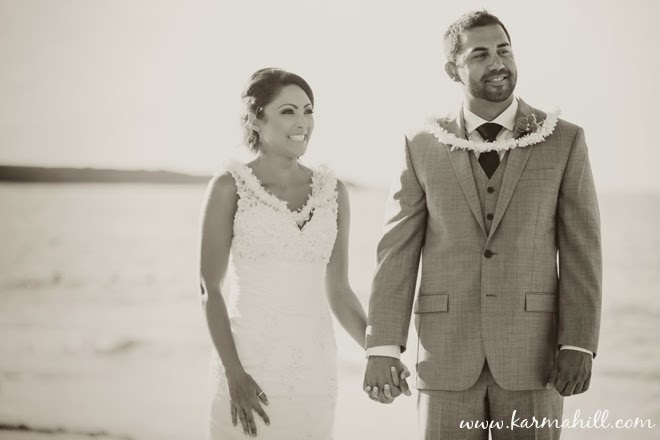 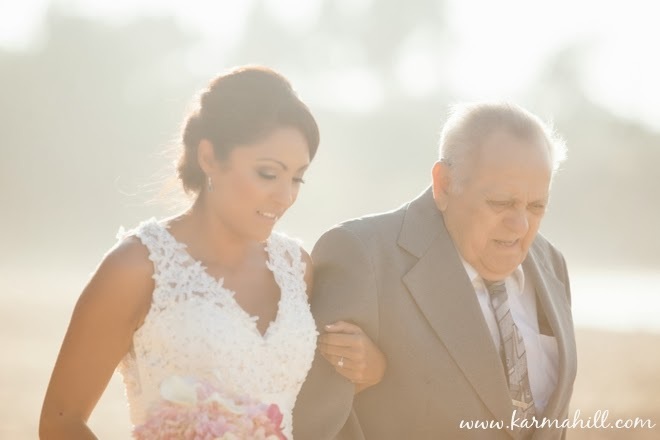 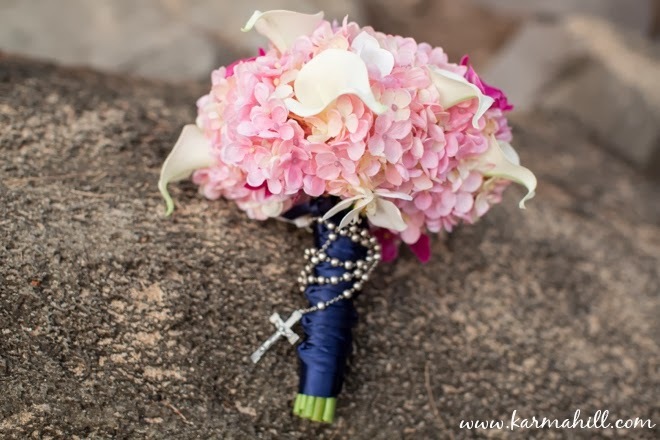 We would highly recommend Simple Maui Wedding and Karma Hill Photography to anyone. 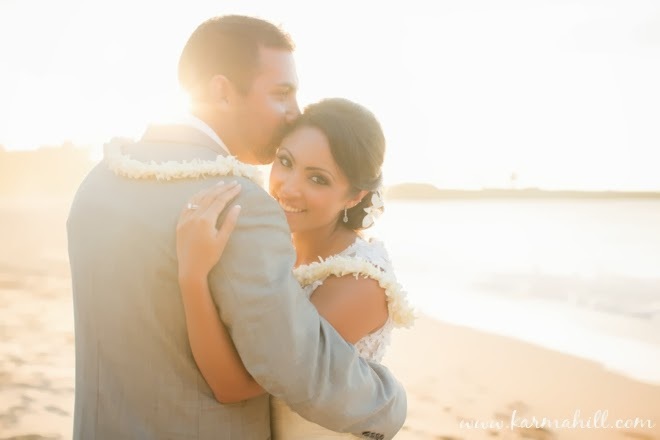 Beautiful couple... 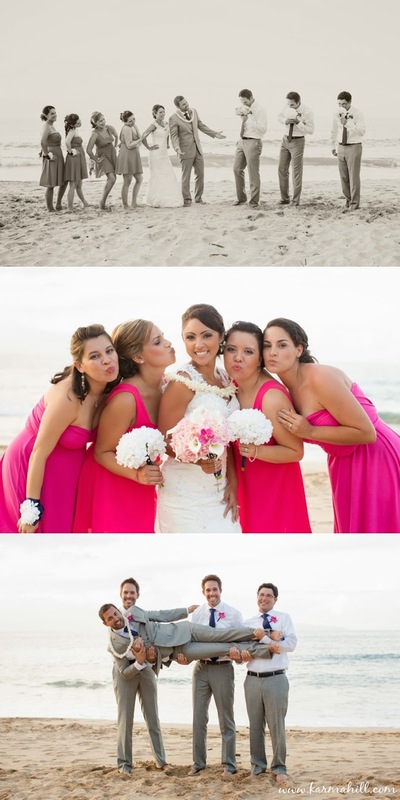 Stunning photos... Love that last photo! 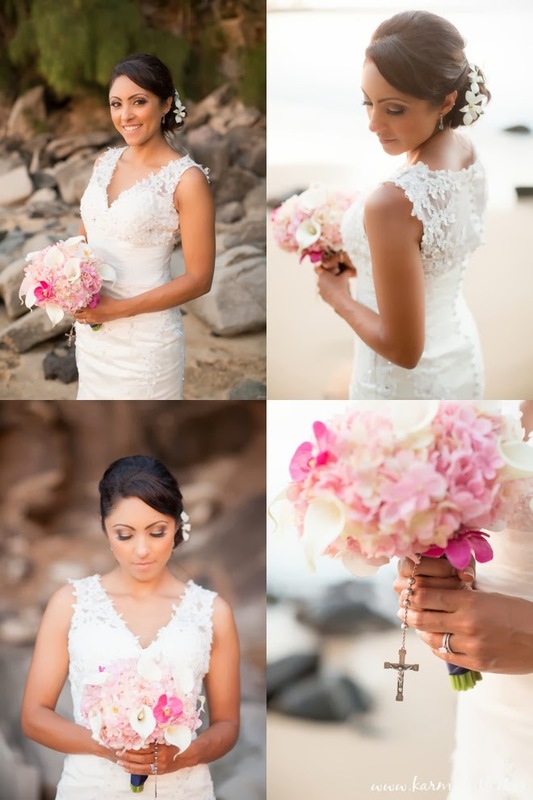 It's definitely one of my fave!